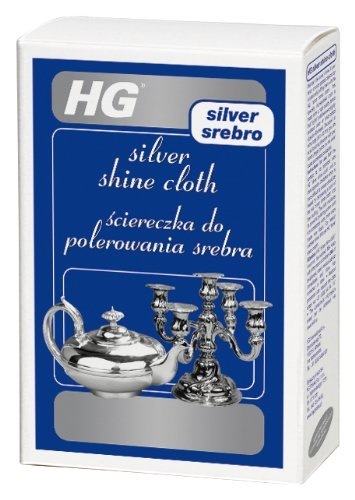 HG SILVER SHINE CLOTH HG495 is rated 3.0 out of 5 by 1. 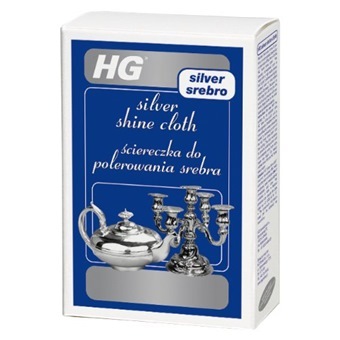 Silver or silver plated objects retain their shine if they are polished using the HG silver shine cloth. This specially impregnated cloth is made from a high quality textile variety which can even shine slightly oxidised silver and silver plated objects, without effort. 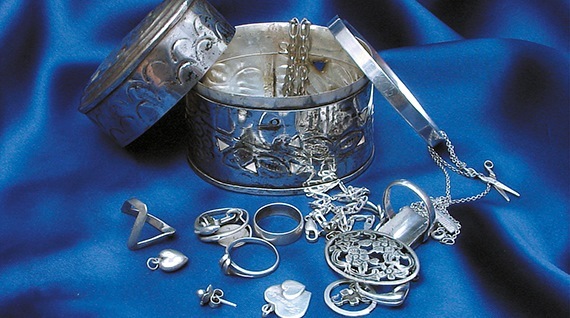 The size of the cloth will prevent the silver being touched with bare fingers, so that rapid re-oxidation due to fingerprints are avoided. Rated 3 out of 5 by Salome from The cloth does the job The cloth is convenient to use but I used another brand before that seemed to work better.